If you drive down Georgia, be careful around Georgia between Newton and Park: there's a raised and poorly marked median strip in the road that is hard to see in the rain. On Tuesday during the storm I was walking by and saw two cars that had crashed into it: one had at least two flat tires and another had its airbag go off. An ambulance had responded to that vehicle, as they must have been hurt either by the crash or the airbag. 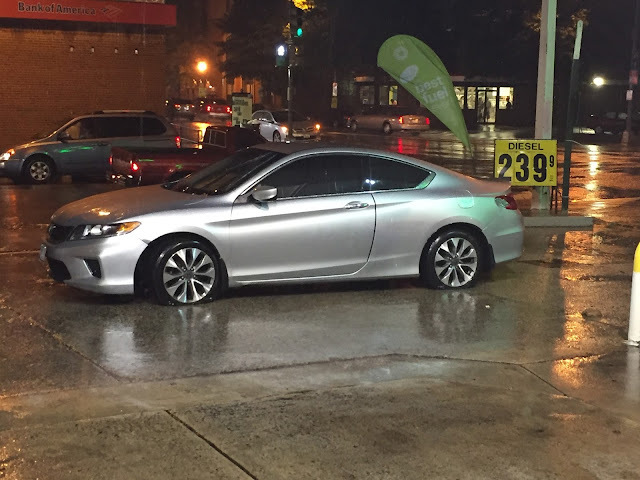 Both vehicles had stopped at the BP station, where I was hiding from the rain during a walk. People there said another car had crashed into the median the week before. The median was installed in 2014 to help pedestrian traffic and used to have a sign on it, marking it. That sign is now gone, and it's only painted in the front, nothing reflective or anything. I took some pictures the day after the crashes, you can see lots of scratches on the front from people hitting it, both on the front and from in the middle where it's cut as the crosswalk goes through. I called 311 and they said it would be 70 days to fix, so I contacted ANC chair for the area Kent Boese. 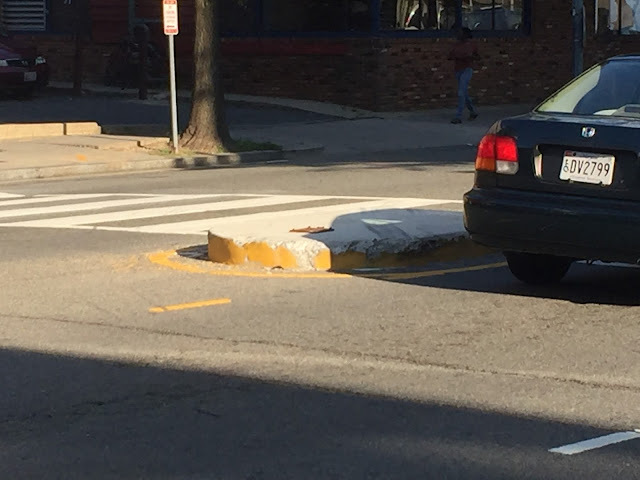 He emailed DDOT and DC Water, and DC Water said they'd make sure there weren't clogged drains in the area, in case that was the cause of the low visibility. DDOT did not respond to me or Boese, and hasn't responded to me tweeting at them either. 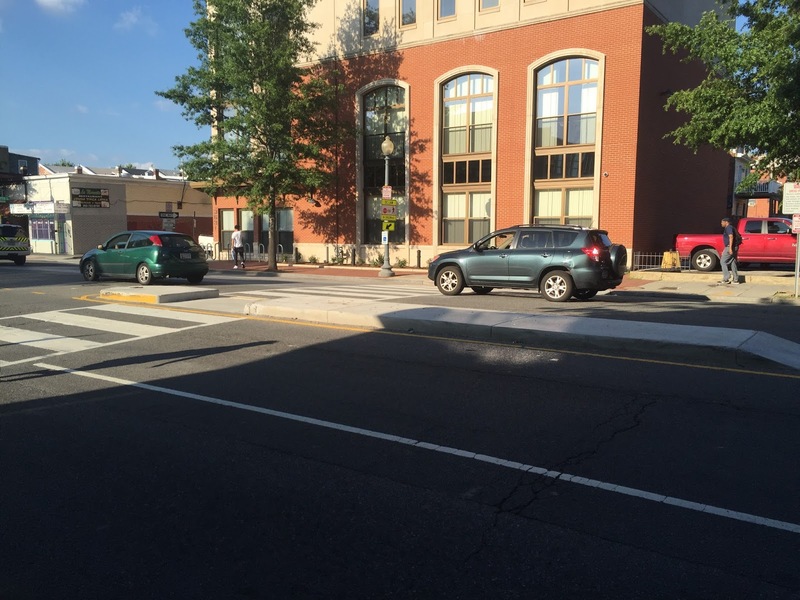 Councilmember Brianne Nadeau also said she had contacted DDOT. 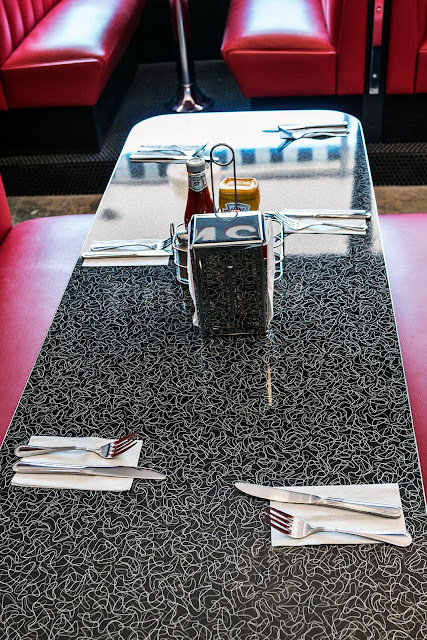 Slim's Diner, the new diner from the Room 11 folks at the corner of Georgia and Upshur, is now open! 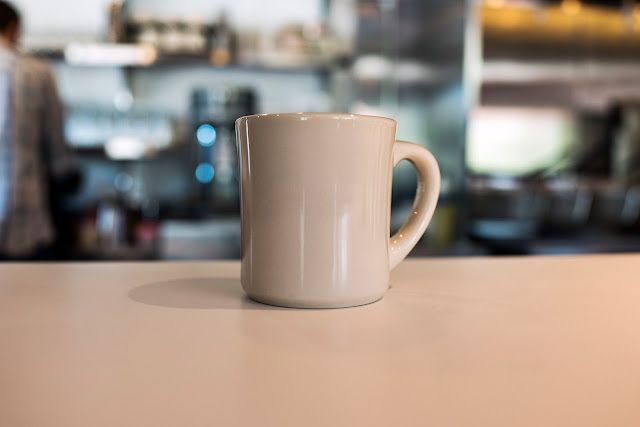 They're serving breakfast and lunch until Friday when they'll be open their regular hours, 7am-midnight Sunday-Thursday and 7am-2am Friday and Saturday. They're open until 4pm today. I stopped by their opening event and sampled a few donuts and cookies, pretty delicious. 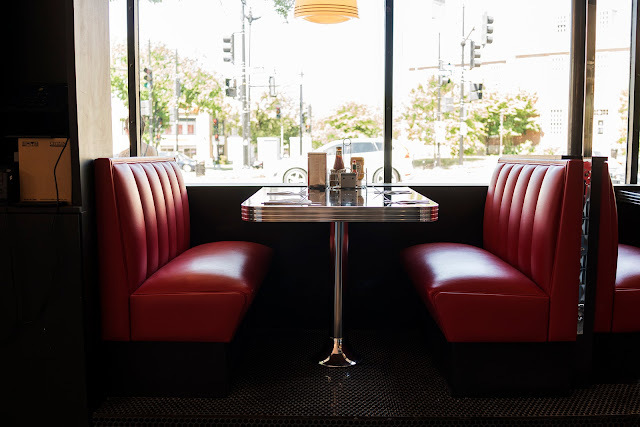 The inside is very traditional diner with soft stools and booths. I look forward to the rest of the food. Here's the full menu. Looks great. Pizza fans, here's a new option for you: Pizzeria Vetri from Philly restauranteur and James Beard Award winner Mark Vetri, now open at the southeast corner of 14th and Florida. 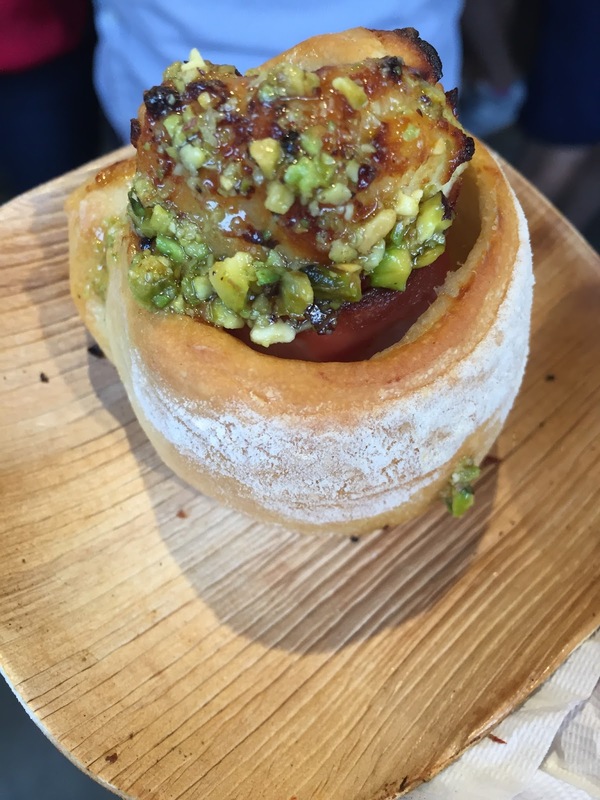 I stopped by their opening party a few days ago and enjoyed it -- it's a modern, smallish space but everything I tried was tasty: prosciutto pizza with tasty dough, and rotolos, amazing, doughy rolled up pizza with ricotta, mortadella ham and pistachio pesto, and miso and honey ice cream. 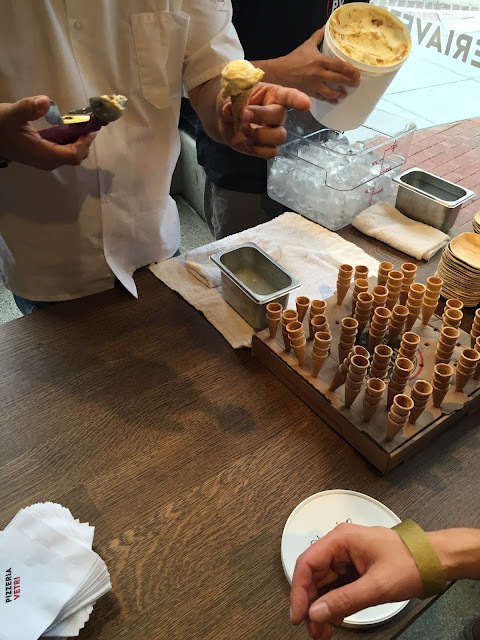 The opening was mobbed, as you might expect, as Vetri is a well-known chef and it only seats 75. They also have a big beer list plus wine and cocktails. Eater reports they serve both rectangular pizzas from Sicily called pizza al taglio and traditional Neapolitan-style pizza, and their menu also includes calzones, salads, appetizers and more. 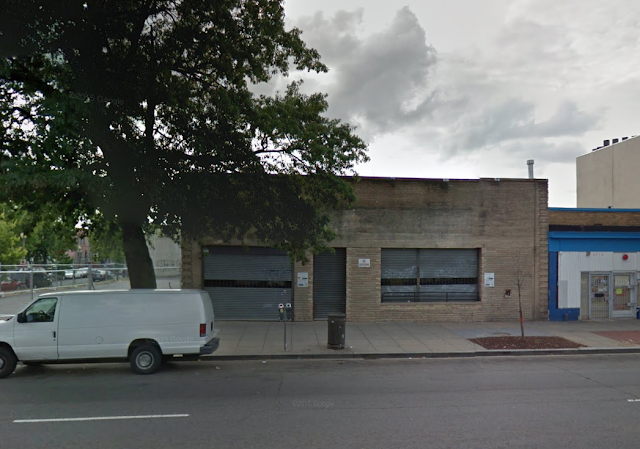 The location of the new building where Vetri is was formerly the Latino Auto Sales lot. If you want to get some tasty Thai food and cocktails, you better make a reservation soon. The City Paper reports that Alfie's, the Thai popup from Food Network Star chef Alex McCoy, is closing at the end of July to move somewhere "more downtown." 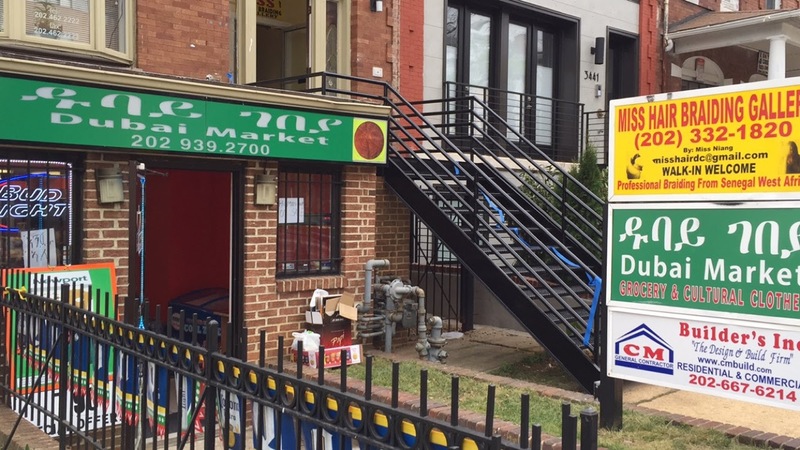 The original plan was that Alfie's was a pop-up while McCoy and group worked to fix up 845 Upshur Street NW, and then Alfie's would move there (although they also said it might stay at its current location, the former Mothership space at 3301 Georgia, too.) But the CP reports that the kitchen at the Upshur location seems too small, so they'll move the concept somewhere else. McCoy didn't say what will move into the Upshur location. 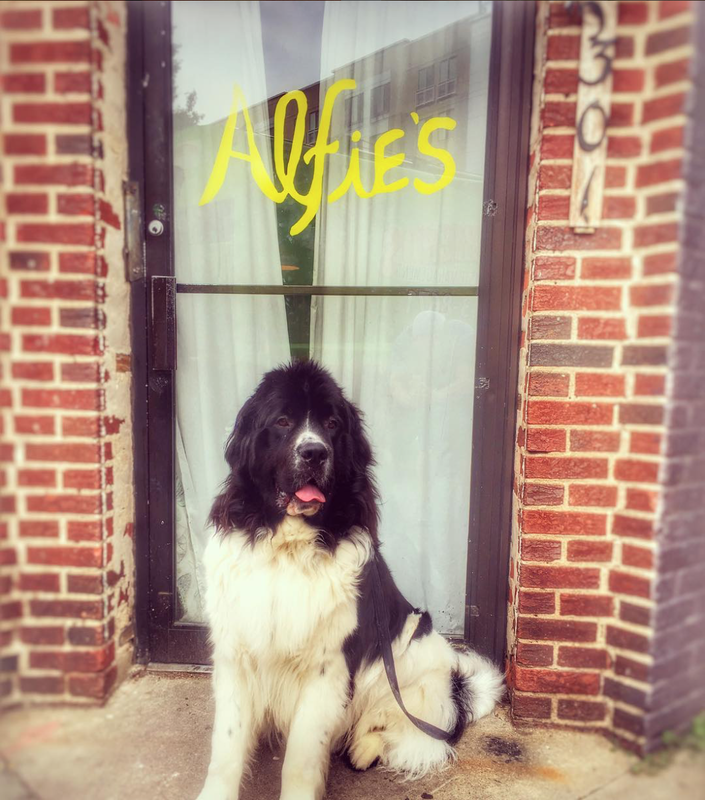 He said he's not considering Lucky Buns, the burger pop-up that is inside Alfie's on Sundays, for the Petworth location and may move it downtown somewhere as well. He added that he was thinking of a neighborhood American concept for the Georgia Avenue space, with a burger. 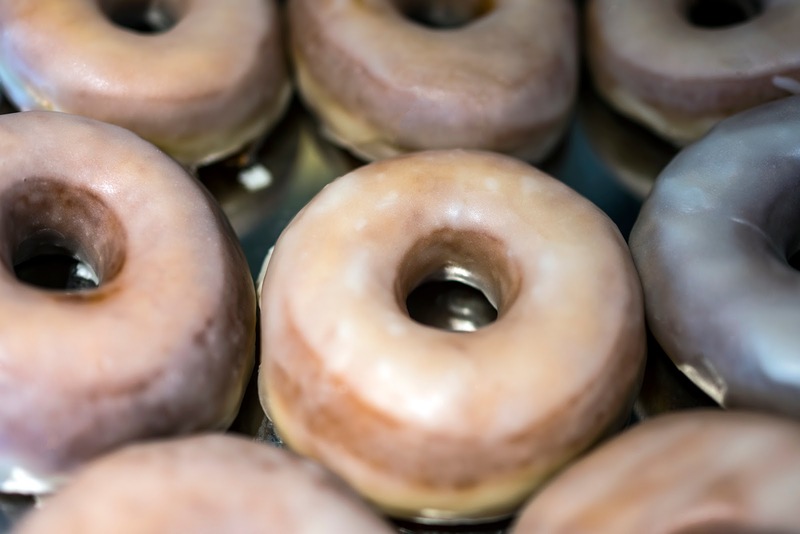 Although the CP article doesn't explicitly say he's not considering Lucky Buns for 3301 Georgia, so maybe that's a possibility. It's too bad to lose Alfie's, the place has been going gangbusters with reservations needed a few weeks in advance, unless you wanted to dine at 11 pm. I've been in a few times late and just sat at the bar and had cocktails, which are fantastic -- using Thai ingredients and even some Thai spirits like Mekhong, which is sort of but not quite whiskey. I hope they're successful elsewhere, and I hope something cool and successful comes to 3301 Georgia and 845 Upshur. 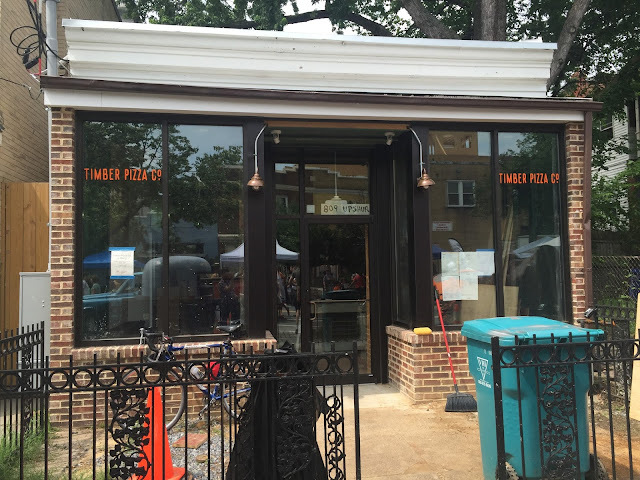 Opening three restaurants seems like a lot for one person to take on, especially considering DC's painfully slow permitting and inspection process, so I wish them luck. UPDATE: The Alfie's folks say they're happy to answer any questions on Twitter. On Sunday some friends and I went to PupusaFest, the fundraiser at Sacred Heart Church at 16th and Park. It must have been a successful fundraiser because there was a huge crowd, but that also means really long lines. The way it was organized, you had to wait in one line to buy tickets for pupusas, then wait in another line to cash in those tickets. We got there at about 2:30 and the lines were massive, stretching the entire length of the street in front of the church, and very slow, so after about 20 minutes we gave up and went to Mt. Pleasant. It seems other folks had the same ideas as us, Ercilia's Pupuseria and Pupuseria San Miguel were both packed too. There was another, separate line for drinks as well. We ended up at Dos Gringos and sadly did not get pupusas. When we came back around 4:15 the lines were a bit shorter but still significant. It was a neat scene though, lots of music, lots of people from all backgrounds, and good smells. It was neat to see so many people, but I hope they can get a better system for next time -- maybe more volunteers who are taking money, or more booths, or something. Those who managed to get some flat, cheesy goodness, how was it? The ticket line. The little tent in middle was the goal. 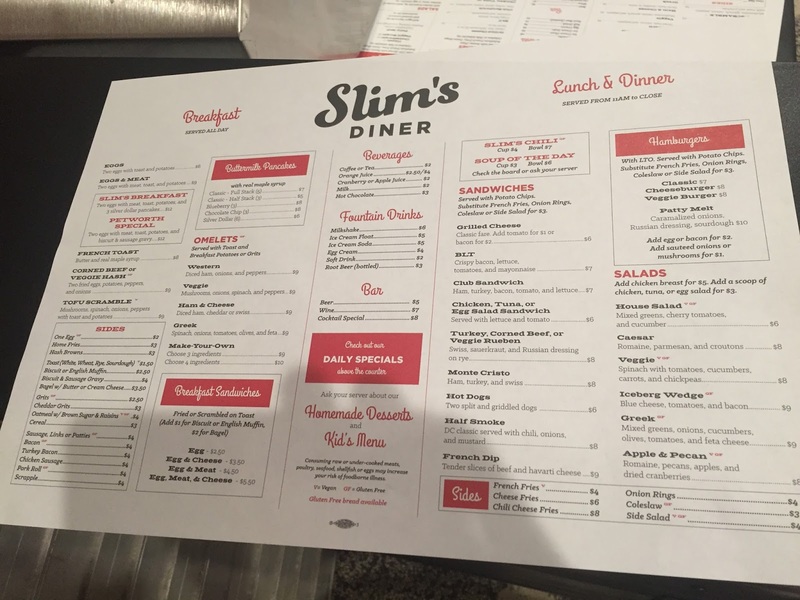 Look inside: Slim's Diner opening Wednesday at Georgia and Upshur! 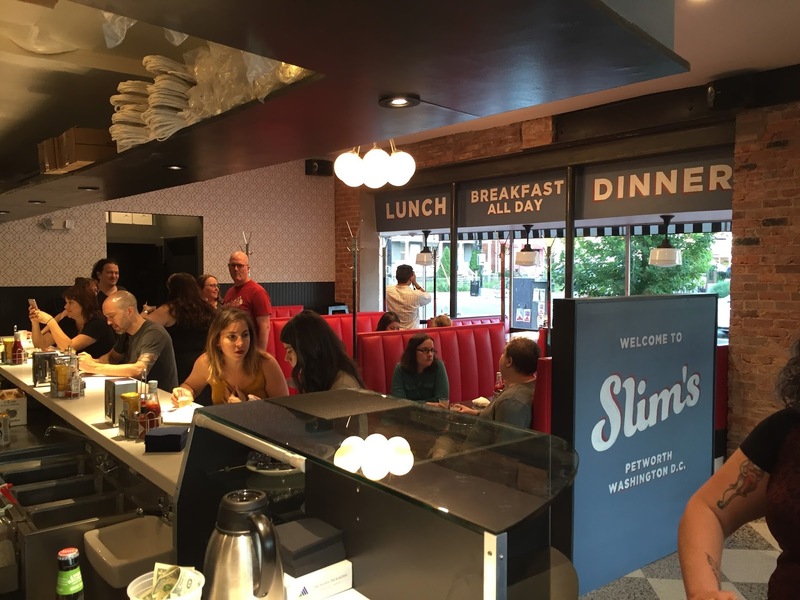 We've been waiting for this for a while: Slim's Diner, the diner from the Room 11 folks, is opening to the public on Wednesday. They posted last month on Facebook about only needing a few permits and inspections and have been holding soft openings last week, so this time it's for real. I'm excited. They've previously talked about having traditional brunch fare, cocktails and beer, and an in-house baker making "pies, cakes, biscuits, brownies, doughnuts and much more." Last I heard, they'll be open early and late, like a true diner: from 7am-midnight Sunday through Thursday and 7am-2am Friday and Saturday. I'll update when I hear more. Sounds great! Here's more photos. Whoa: Banneker Pool will have a DJ & night swimming on Saturday! This is awesome! The Banneker Pool at 2500 Georgia Ave NW will have what they're calling a #SplishSplashSummer pool party tomorrow night, with a DJ and night swimming. The event, from 7 to 11 pm, is free but they ask you to RSVP. It's free for residents and non-residents alike, and there's no outside food or drink, so that means no booze. The pool does have a snack bar with a few items but it's not clear if it will be open for the party. (WASHINGTON, DC) – Come out, swim and socialize during the evening at four of DPR's popular outdoor pools!! Today, the DC Department of Parks and Recreation (DPR) announced plans to offer late night, community pool party events for the third year in a row. Please note that attendees are asked to RSVP online for this free event and there are no non-resident admission fees, however photo ID is required for entry (youth will not need photo ID, however they must be accompanied by a parent or guardian with a photo ID). All standard pool policies and rules will still apply. Please visit DPR's website for more information regarding DPR's policies on Pool Rules and Safety and Admission and Fees. Colony Club, the coffee shop and bar at 3118 Georgia Ave NW, is hosting their monthly patio parties again, and the first one for this summer is tomorrow. 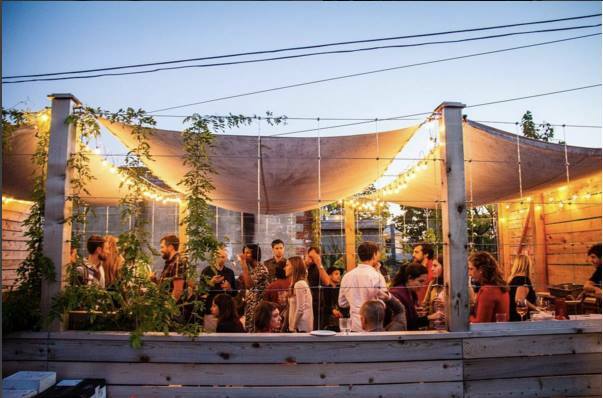 They'll have pizza from the Timber Pizza Co. food truck (who are opening a brick and mortar location on Upshur in a few weeks), karaoke, German beer for $4 or a mini-keg for $10, and tarot card readings. Sounds like a fun event at a cool spot. If you haven't been, Colony Club is a coffee shop until 5 pm when it turns into a bar. It's a modern space and there's a great rear patio plus a ping pong table on the second floor. PupusaFest this Sunday in the neighborhood: 10,000+ pupusas!! Oh man, this sounds awesome. 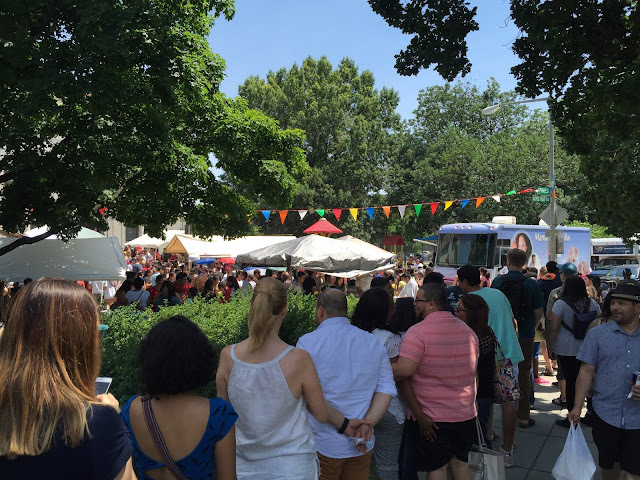 The Shrine of the Sacred Heart Church at 16th and Park has organized their second PupusaFest for this Sunday: last year's was a big hit, they had more than 10,000 pupusas but they were sold out by mid-afternoon. This year they'll have more, all handmade by local experts. 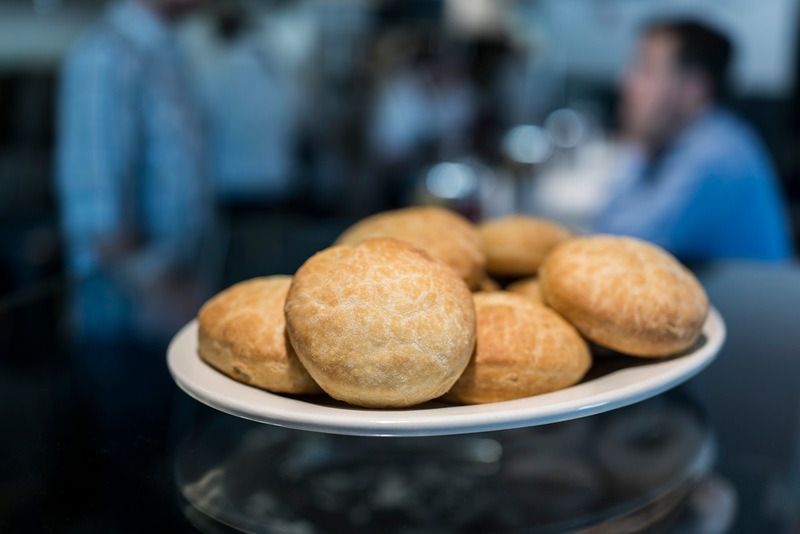 If you've never had one, they're pretty delicious -- they're traditional food from Central America, kind of like thick corn tortillas stuffed with cheese, beans and sometimes chopped chicharron (fried pork) or other meats. They come with a tangy, spicy red sauce and some pickled cabbage called curtido, kind of like cole slaw or sauerkraut but crunchy and with a little kick. Both are great accompaniments to the pupusas. 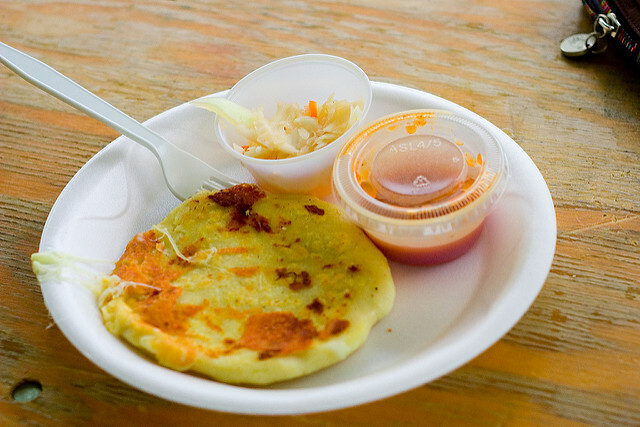 The fest will sell 3 pupusas for $5, a good deal, and runs from 8am-5pm. I assume they'll have drinks and such too, there's not much info on Sacred Heart's Facebook page. I'm a big fan of pupusas and was lucky enough to have some in El Salvador and Honduras, where they are both awesome and delicious. There are some tasty ones in our area too -- the ones at Bravo Bar and Lyman's Tavern are good, as are the ones at Susana's Pupuseria which is just across from Lyman's and Gloria's Pupuseria at 3411 14th. I'm definitely looking forward to this event though, which also serves as a fundraiser for the church. More new things! Homestead, the bar and restaurant from the Blaguard folks coming to 3911 Georgia Ave NW is opening on Thursday, according to a press release. The spot, next to Qualia Coffee, will be focused on American food in family-sale portions with seasonal cocktails and local ingredients, including herbs they'll grow there. There will be 175 seats on three levels with a lot of outdoor options -- the main level with a bar, a second floor with a patio and a third floor bar with another patio. They had their soft opening yesterday and based on the pictures it looks pretty nice. Food options include lamb bacon BLT sliders, catfish nuggets, charcuterie, prime rib with garlic mashed potatoes, and more, ranging from $8 for the catfish to $40 for the prime rib. They'll have family style dinners (kind of like prix fixe) which includes three sides for $70. There's a dozen beers on tap plus other draft ciders, wines and cocktails. 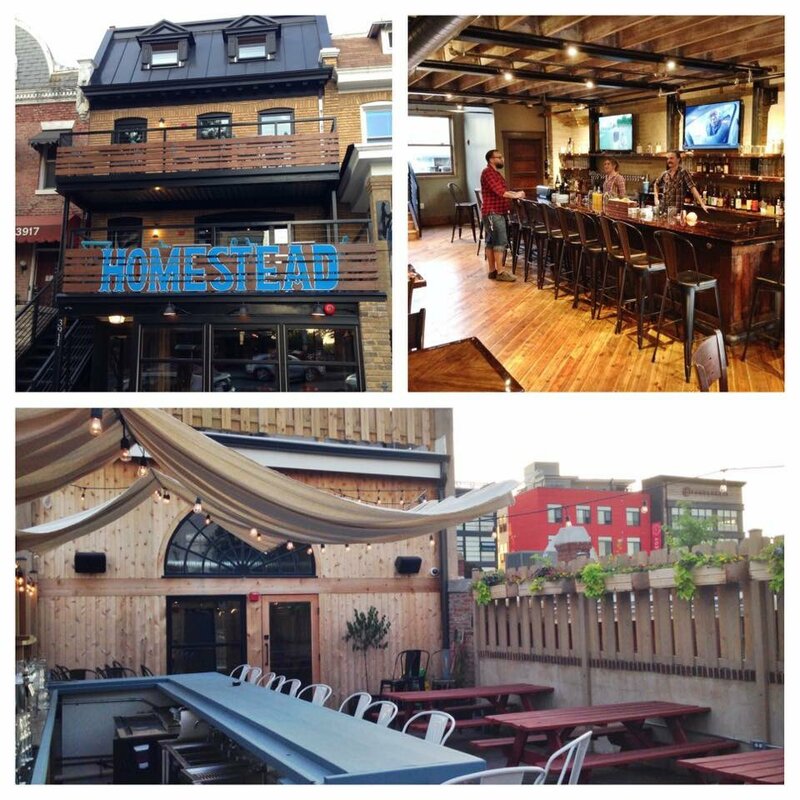 The team behind The Blaguard – the beloved neighborhood bar in Adams Morgan – will officially open its new restaurant, Homestead, Thursday, June 23, 2016 in the heart of Petworth at 3911 Georgia Avenue NW. The menu – developed by Executive Chef Marty Anklam – will focus on chef-inspired comfort foods in family-style portions, seasonal cocktails, and local, responsibly sourced ingredients. Homestead’s opening marks the first solo restaurant venture from Nic Makris, co-owner of The Blaguard, as well as the return of Chef Anklam to his hometown roots. 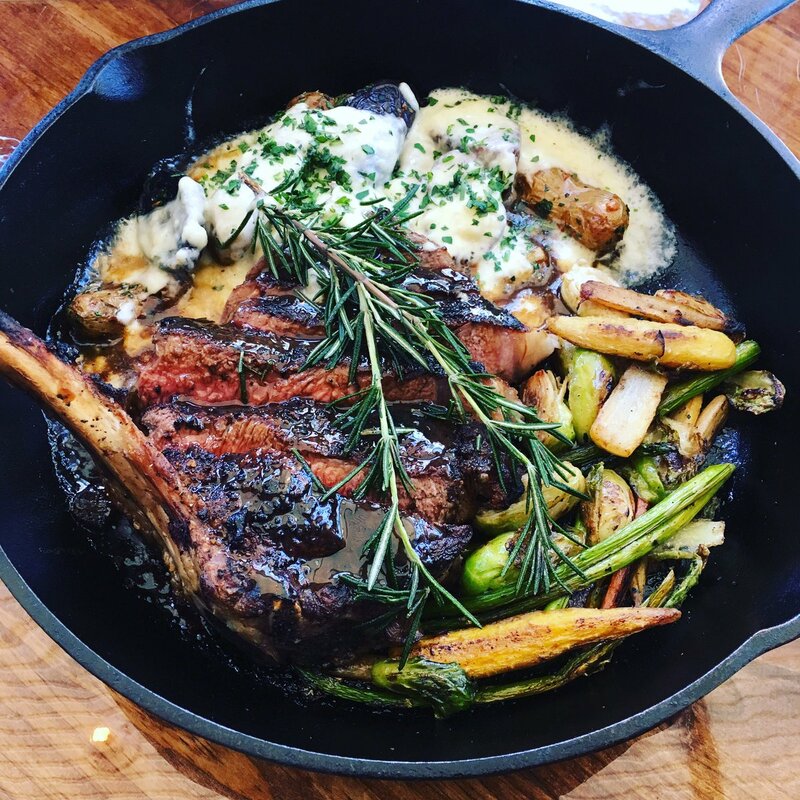 In the spirit of true home-style cooking, Homestead will rely on its relationships with high-quality purveyors such as Roseda Farms (MD, VA, PA) and Copper Penny Farms (MD) to offer diners a menu focused on fresh produce, meat, and game. Menu highlights include Lamb Bacon BLT Sliders ($9); Catfish Nuggets with cajun sauce ($8); and Slow Roasted Prime Rib with Roasted Garlic Mashed Potatoes and Vegetable Mélange ($40), in addition to Dry Aged Braised Short Ribs and Homestead’s Roseda Farms Meatloaf, both served family style with three side dish choices ($70). Homestead’s bar program will tout a dozen rotating beers on tap. In addition to beer, the drafts will include numerous ciders, wines and house-made cocktails. The 4,000 square-foot restaurant will accommodate 175 diners across three levels: A main floor dining room and bar; second-level mezzanine and outdoor patio accessible by its own street-level entrance; and a third-level bar featuring its own outdoor patio. 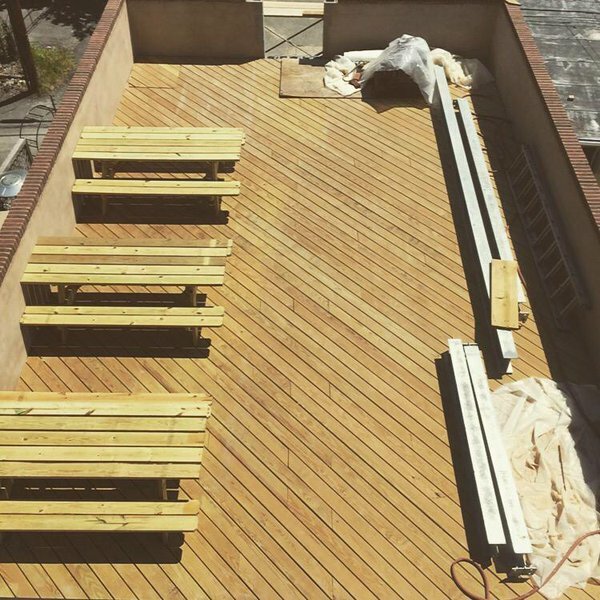 An extra 70 seats will be available on the two, upper-level outdoor patios during warm weather months, in addition to plans for a rooftop garden from which Chef Anklam plans to grow the kitchen’s own supply of fresh herbs and vegetables. In addition, Homestead – which was built as a residential row house in 1922 – features woodwork refurbished from the original building and reclaimed artwork from local DC sources such as Bistro Francais, Community Forklift, Cochrans Lumber and even a Park View row home throughout the space. Homestead will accept reservations for dinner by phone at 202-627-2371. The restaurant’s opening hours will be 5 p.m. to 12 a.m. from Sunday to Thursday, and 5 p.m. to 2:30 a.m. on Friday and Saturday. Brunch service will begin on July 1. For more information, please visit www.homesteaddc.com or check them out on social media (Facebook, Instagram, Twitter) at @homestead_dc. ABOUT CHEF MARTY ANKLAMA graduate of Culinary Institute of America in Hyde Park, NY, Chef Marty Anklam began training at the ripe age of four when he received his first knife set on Christmas morning. Flash forward a decade or so later – including many hours spent cooking alongside his mother Cissy - to Anklam’s first kitchen stint at Bistro Bistro in Arlington, Va. where his fascination with the restaurant industry was even further cemented. Anklam’s passion for hearty, seasonal cooking took him across the U.S., including posts at the critically-acclaimed Downtown Grill in Oxford, Ms. and Devil’s Thumb Ranch in Tabernash, Co. before returning to his native DC to join Homestead’s opening team. Photos from Troyal, TAA PR and Homestead. Rooftop pictured here. It's officially summer now, and right on time the city's public pools are now open during the week as well as the weekends. Most pools in the city are open every day but one: in our case, the Banneker Pool at 2500 Georgia Ave NW is closed every Thursday, and the Upshur Pool at 4300 Arkansas Ave NW will be closed every Monday. Here's the hours for the pools. The pools also have some programs, like learning to swim for kids, parent and kid water aerobics, and a swimming league. Banneker also has a morning lap swim from 8am-10am. Sounds like a great opportunity for those who work from home or have kids who are off school. Pools are free for city residents, make sure to bring a valid ID or utility bill. There's more info on what you can bring here. People who aren't DC residents can pay a small fee or get a pass for a lot of visits. The following programs will be offered this summer. To register for a program go to the DPR Registration System. 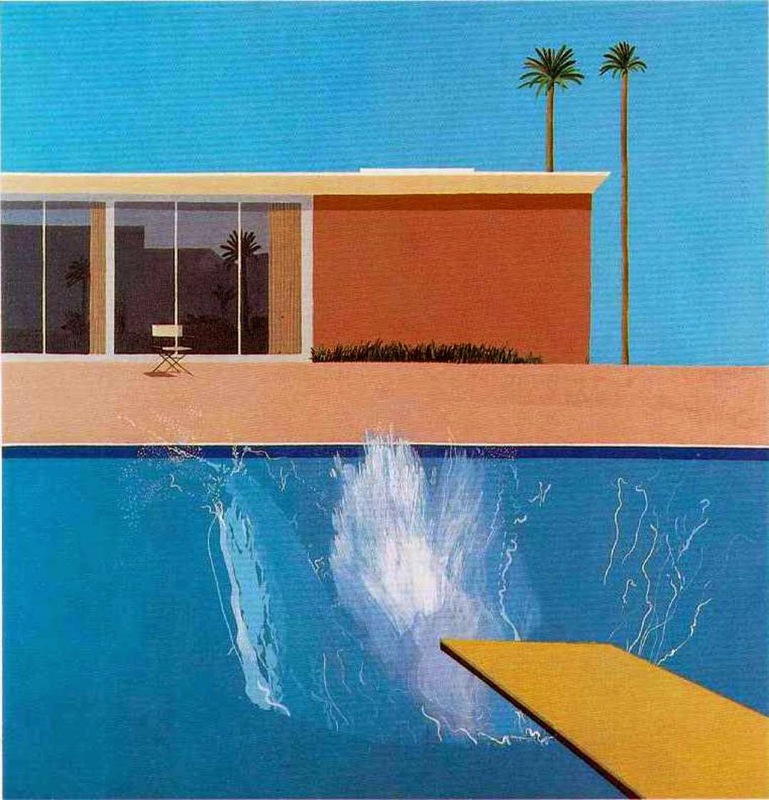 Picture: David Hockney, "A Bigger Splash"
It seems like this has been a busy few months with new things opening or coming soon, so here's a rundown of everything that's new. It seems like Georgia and Upshur are both especially busy. Little Coco's, the Italian outpost of El Chucho, is aiming at early to mid July at 14th and Quincy, where the old Rib Pit Lounge was located. It'll have the same idea as El Chucho, tasty and inexpensive drinks and food, plus some higher end things. The Midlands, the beer garden from the Kangaroo Boxing Club, is also aiming for sometime this summer. They'll be located at 3333 Georgia in the shopping center with the post office and Walls of Books. The Perch, a mushroom and micro green farm, is opening in the old Murry's building at 3400 Georgia Ave NW soon. They had a launch event the 12th so they'll be open anytime. They'll also have classes and community space. Jimmy John's is now open on the Civic Plaza -- tasty sandwiches for all. La Colombe and a bar from the Bedrock Billiards folks are coming at the 1300 block of Florida. La Colombe is opening by the end of June, but the bar we don't know much about yet. Timber Pizza Co., a wood-fired pizza joint that was formerly a food truck, is opening in about two weeks at 809 Upshur. Petworth Liquors at 3210 Georgia has closed, and will be replaced by District Dogs, a doggie daycare. Alfie's at 3310 Georgia is now hosting Lucky Buns, a burger pop-up every Sunday. Domku at 819 Upshur is closing sometime around the end of this month. Slim's Diner from the Room 11 folks at Upshur and Georgia, is coming sometime -- they last said "a few weeks" about a week ago. Their date has moved a bit, which is quite common in DC. Slim's also has an upstairs event space, Third Floor, which is open now. Cappy's Crabs has opened as a pop-up in the Crane and Turtle space at 826 Upshur, and will be open all summer with crabs, orange crush (cocktails, not the soda), Natty Boh and the link. Homestead Bar and Grill, a Southern bar and restaurant next to Qualia at 3911 Georgia, is opening Thursday. Let me know if I missing anything! I always love the random weird things we see around the neighborhood. 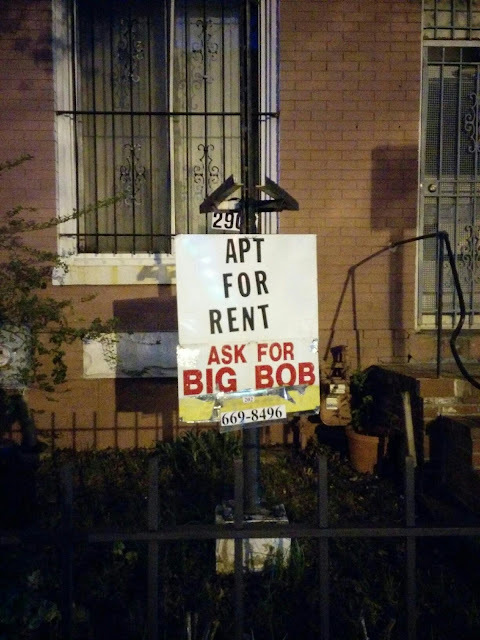 The other day my buddy spotted this on 11th Street, it's a pretty amusing apartment ad. I like how it's kind of all lopsided too, it adds something. I wonder if Big Bob is one of those joke nicknames where he's actually a short guy, like how "Tiny" is often used for really tall people. In any case, funny stuff. Keep doing you, neighbors. Whoa, this sounds awesome! Three chefs, who are triplets, are opening a vegan pop-up starting July 16 at EatsPlace, the restaurant and bar at 3607 Georgia that serves as a pop-up and incubator. 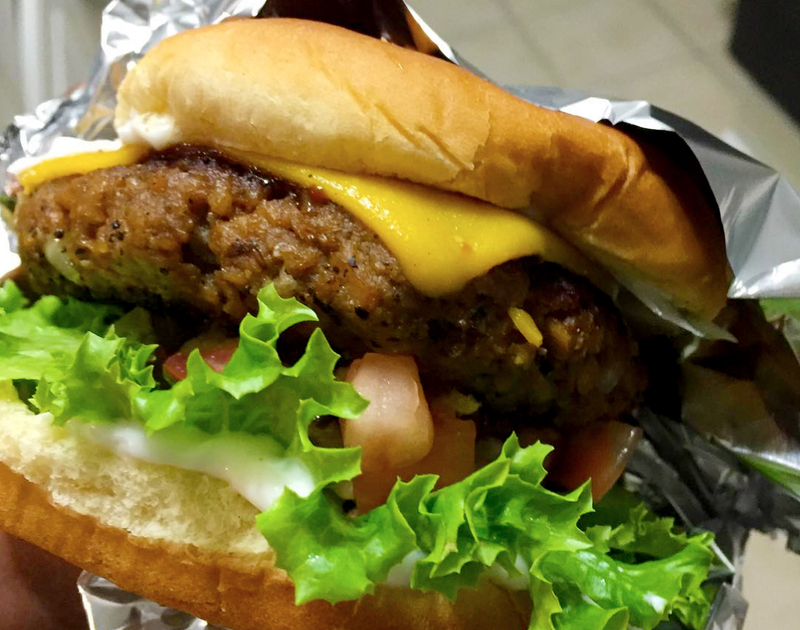 The pop-up, called 3 Twisted Vegans, focuses on vegan burgers and fries with other vegan, vegetarian and gluten-free options as well as milkshakes. 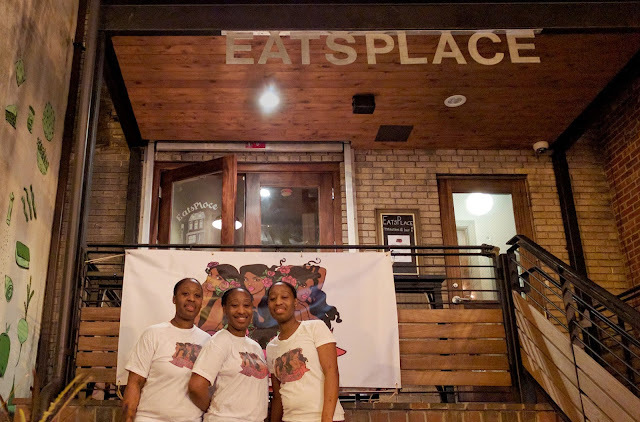 The triplets, Rhoni, Rhone’t and Rhoneika Jacobs had a pop-up at EatsPlace in May that went well, and they're back again. I'm intrigued. Here's their menu, and the press release is below with more info. 3 Twisted Vegans is popping up at EatsPlace, 3607 Georgia Avenue NW, Washington, D.C. 20010, starting July 16, 2016, and every Saturday from 5:00 pm – 10:00 pm through December 2016. 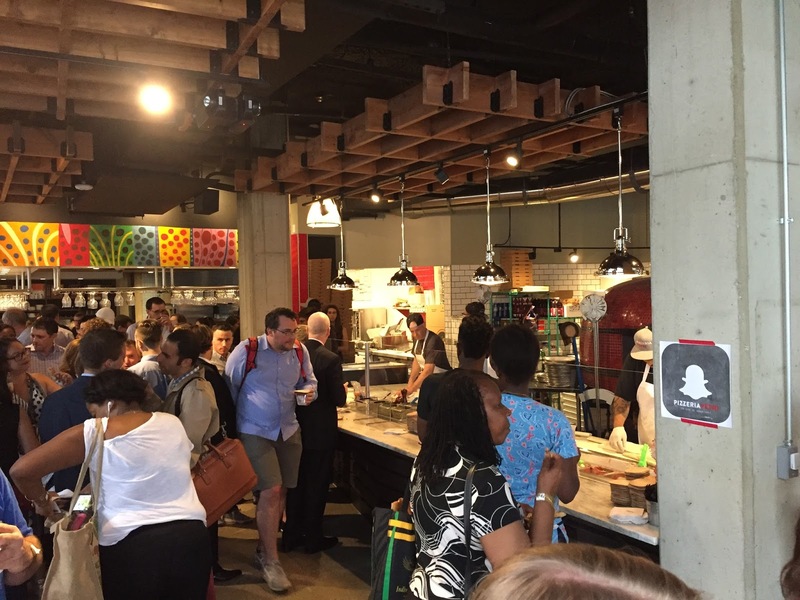 Triplet chefs Rhoni, Rhone’t and Rhoneika Jacobs will return to EatsPlace, a food incubator and restaurant accelerator after a successful pop-up in May. They will serve their signature vegan fast food: burgers, fries, and milkshakes. The sisters improved their health by going vegan. This change was not the easiest but with head chef Rhoneika’s culinary training and the creativity of the sisters combined, they made eye catching and innovative dishes that diners couldn’t believe were vegan. With their new lifestyle, the sisters were excited to share their delicious food with the public. It was just too good to keep to themselves and with that 3 Twisted Vegans was born. “We’re putting a spin on things that vegans normally wouldn’t eat. A lot of vegans eat tofu but we don’t. It’s just like a twisted or different mindset than a normal vegan would have,” according to Chef Rhone’t. 3 Twisted Vegans’ menu will have all vegetarian, vegan, and gluten free items. 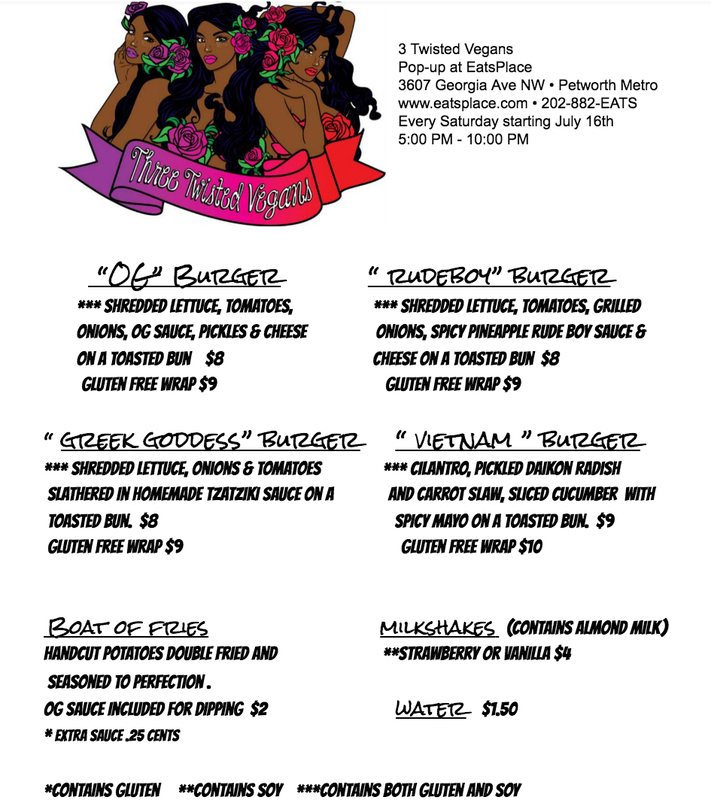 For more information about 3 Twisted Vegans, please e-mail info@EatsPlace.com or call 202-882-EATS (3287). 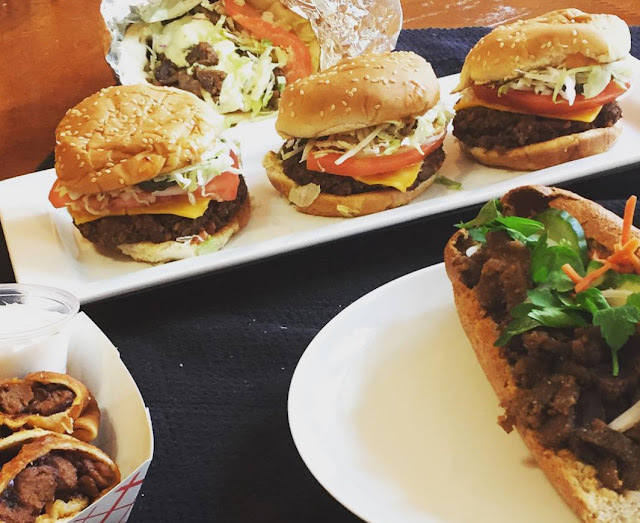 3 Twisted Vegans is a women-owned business that’s gives a healthy alternative to fast food. 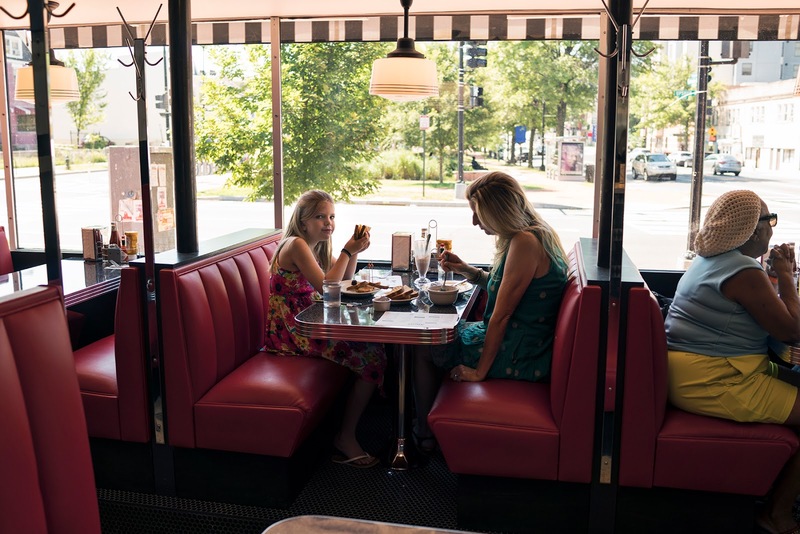 Founded by triplets chefs Rhoni, Rhone’t and Rhoneika Jacobs in Washington, DC, in 2015, 3 Twisted Vegans revolutionizes fast food. EatsPlace is a restaurant and bar, a community food incubator and a restaurant accelerator. They host pop-up restaurants and guest chef residencies. EatsPlace’s mission is to be an evolving culinary enterprise that revolves around things that chefs dream up and neighbors crave. The Haiyo Dog pop-up will continue operating at EatsPlace at all other times. I don't normally write about crime, but it seems like there has been a rash of incidents recently. Yesterday there were two shootings near 14th and Girard -- one in the Columbia Heights Village on the 2900 block of 14th Street NW around 6 am, where the victim was killed, and another later in the afternoon on the basketball court at the 14th and Girard Park. A friend who lives nearby said he heard the shots and another texted me saying it seems like there have been shootings every night in the area. He also sent a picture of blood splattered all over the court, which I will not share because it's gruesome. The basketball court victims survived, according to the Post. It's not clear if the two shootings were related. Another man was shot on the 8th in the same Columbia Heights Village complex on Columbia Road and on the 13th thieves hit a man with a bat and stole his cell phone on the 2900 block of 13th, which is right around the corner from the earlier incidents. 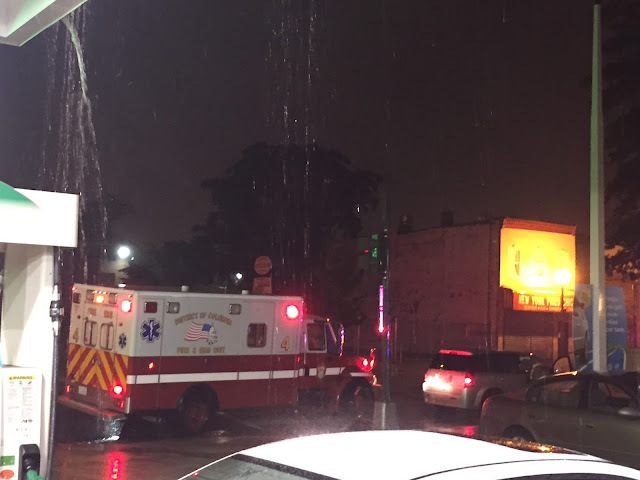 In addition, there have been other incidents lately: a on May 31 a man was stabbed inside the Golden Paradise restaurant at 3903 14th Street NW, in the old Rib Pit space. Neighbors have been complaining for some time that the restaurant is acting more like a nightclub with loud music and rowdy patrons. ANC Commissioner Zach Teutsch said the city's Alcoholic Beverage Regulation Administration is investigating. Let's hope MPD and other city agencies can address these incidents and prevent future ones. This sounds like a fun literary event: Upshur Street Books and Petworth Citizen have organized a 30-hour marathon reading of James Joyce's Ulysses for Bloomsday, a celebration of Joyce's life. Along with the reading, there will be good and drink and Irish whiskey, which makes sense. The event is mostly at Third Floor, the event space upstairs from Slim's Diner at Georgia and Upshur. Slim's isn't open yet but Third Floor is. There's also part of the celebration at Petworth Citizen down Upshur Street. The readers include folks from NPR, local actors, and more. Last year's included some of the staff from Room 11, Petworth Citizen and their related bars and restaurants. 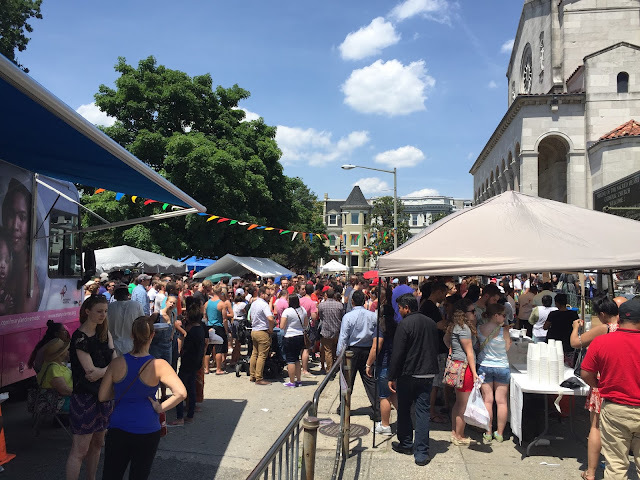 For the second year running, Upshur Street Books and Petworth Citizenare proud to pair up for BLOOMSDAY, a celebration of the author James Joyce. We'll be doing a marathon reading of ULYSSES starting at 5pm Wednesday the 15th and finishing up around 12am Thursday. This year we're also excited to partner with Third Floor, where some of the readings will take place (see below for location schedule). Food by Chef Jerry Zawacki and drinks (including Irish whiskey of course) will be available in both locations. We'll have many many special guests reading passages - look for NPR personalities, professional storytellers, local actors and performers (hello Pointless Theatre Co. Rorschach Theatre and We Happy Few Productions), and many more! 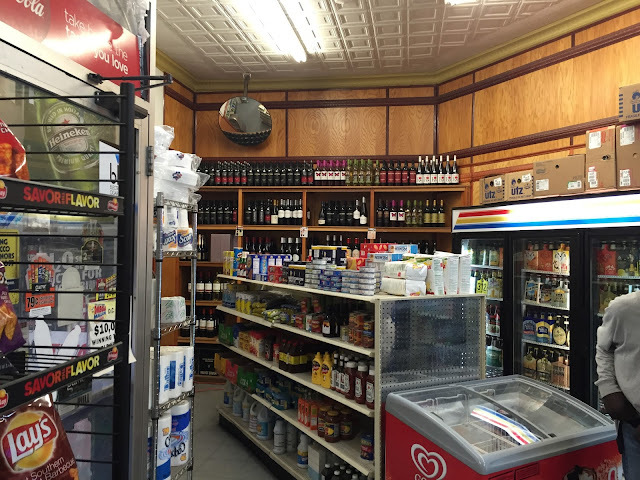 It's been a while since I've done an installment of Beer Run, my series looking at the beer selections for local corner stores -- mostly because I haven't seen too many new ones. However, there's a new at 3443 14th Street NW, Dubai Market, and I'm glad I stopped in. 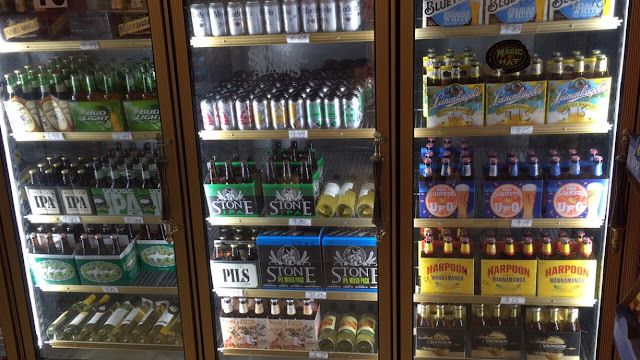 They have a big selection of craft beers for good prices, plus lots of other things. There's a whole wall of beer, including lots of good ones -- Stone IPA was $9.70 and Lagunitas and DC Brau were both $9.49 for a six pack. Oddly, things like Bud Light Lime were a bit higher than you'd think at $6.49, but still not bad. They also had a fairly big wine selection, and the rest of the market is pretty interesting, lots of Ethiopian food, clothing and other items. 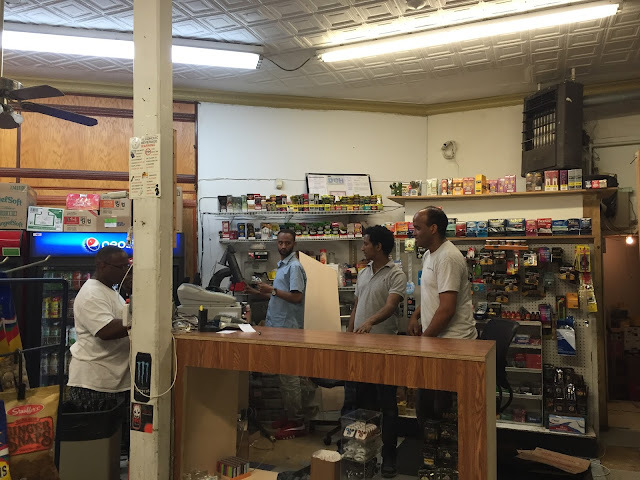 They also had the usual corner store standbys like candy, chips and soda. Ambiance: 4 of 5, bright and cheery. That amounts to 13.5/15, a great (and subjective) score! Check them out. Little Coco's, the Italian restaurant from the folks behind El Chucho, is coming in early to mid July pending any permit delays, according to owner Jackie Greenbaum. They also recently posted they're hiring on their various social media channels. The restaurant is coming to 3907 14th Street in the old Rib Pit Lounge space, and will be an Italian version of El Chucho. 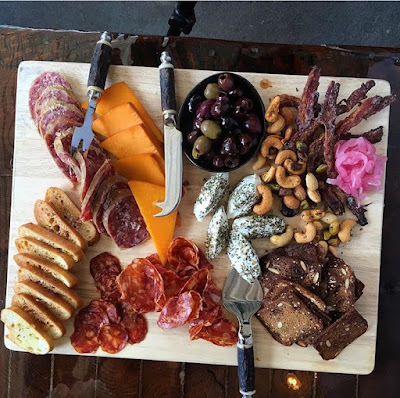 Previously we heard they'll have antipasti, pizza, entrees and homemade pasta dishes, as well as frozen negronis, Italian shaved ice, lots of affordable Italian wine, beer and other cocktails. Previously we heard that pizzas may include olive-oil poached tuna and artichokes, snails and garlic, and butternut squash with pear and taleggio cheese. The floor plan is similar to El Chucho with a bar downstairs and most of the seating upstairs, which will be partially outside and partially inside, for 70 seats total. Greenbaum and her group run El Chucho on 11th Street NW, as well as cocktail spot Bar Charley on 18th Street and the Quarry House in Silver Spring. 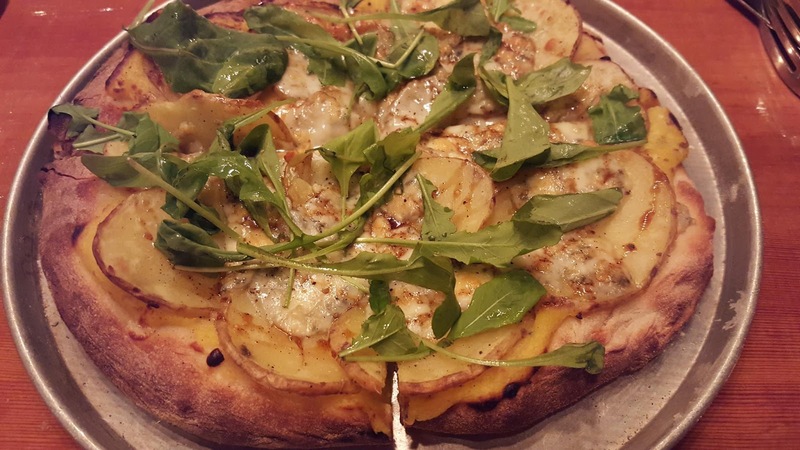 Here's one of the possible pizzas from their Facebook page. The above photo is from a few months ago. It's pool time! The popular Banneker and Upshur Pools are now open on weekends only, noon-6pm, but starting June 18th they'll be open every day but one. In the case of Banneker, at 2500 Georgia, they're closed Thursdays, while Upshur, at 4300 Arkansas, is closed Mondays. During the week, both are open 11am-8pm, while Banneker has an additional lap swim from 8am-10am during the week. Banneker Pool is often crowded, but that can be fun too, it's hopping -- often the lifeguards will play music and there's a lot of diving, plus a lot of seeing and being seen. Upshur is a bit more relaxed and smaller. This is pretty cool. 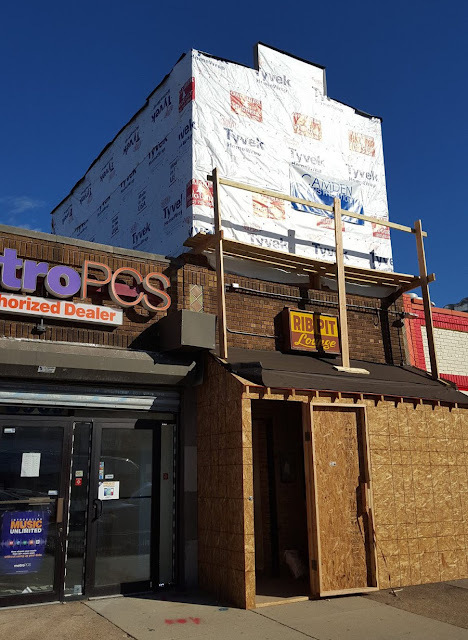 The old Murry's supermarket building at 3400 Georgia Avenue NW is being filled with The Perch, a mushroom and vegetable farm from the owners of Good Sense Farm and Apiary, who run a mushroom and honey operation located in Maryland. The Post has the whole story -- Good Sense owner Zachari Curtis has wanted a farm people can visit, and will use the building for growing mushrooms and microgreens (baby greens) as well as mushroom growing classes and community events. They've already held a clothing swap there, and previously the building was used for the Georgia Avenue Winter Fest, a cool event organized by Georgia Avenue Thrive, so it's a good space for that kind of thing. Murry's is also the building with the new Park View mural. The Perch is going to be a pop-up for the near future, but it's great to see empty buildings used for other things. This building is owned by the Zuckerman family, who have done similar arrangements before (they're also the folks who didn't renew the lease for Petworth Liquors, instead bringing in a doggie daycare.) Walls of Books and the Midlands beer garden are similar in that the building they're in (or coming to, in the case of the Midlands) is slated for development in the future. Here's their press release with more info for the launch party this Sunday, which will have DJs and more. Something BIG is happening...and it's you I have to thank. 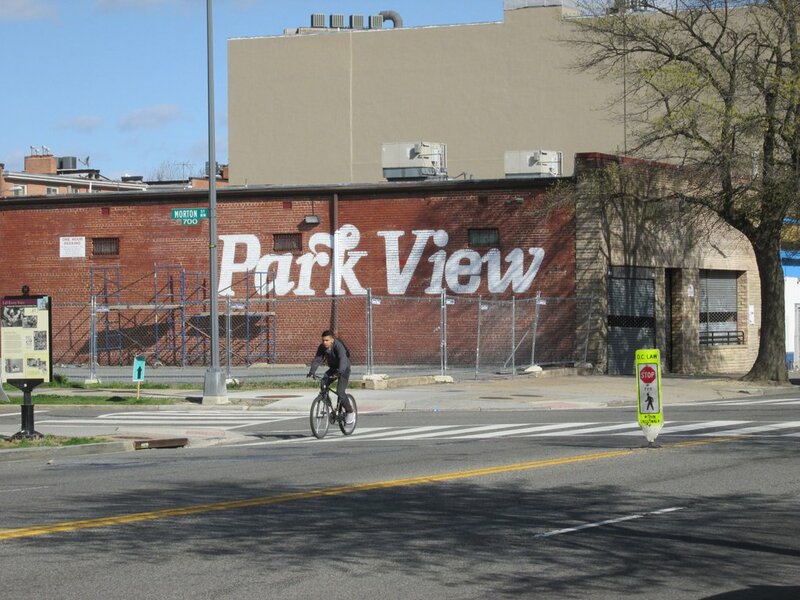 An urban farm and community space is coming to Park View. We're launching The Perch on June 12th and you're invited. Get tickets here! What is The Perch? We've always needed more space to grow and The Perch will be a growing space for our delicious local mushrooms, microgreens and more. For the time being we'll have a place on front street to show folks what farming in the city looks and feels like. We hope you'll be one of the many people we feed with our ultra local produce. The Perch DC will also be a possibility and play space brought to you by you! There's room enough for community events, festivals, plays and popups. If you're a maker, an artist, teacher, a theater lover, we want to hear from you. You are one of the people who helped me navigate the legal, moral and political (yup) questions that have brought me to this point. I wanted to send a special word of thanks to you and invite you to imagine something that might benefit you or your community happening here. Come to the Launch and imagine what you could do in it. Sliding Scale Tickets are here. Washington 3400 Georgia Avenue Express! The Launch will be fun thanks to host, Curt Mariah, DJs XSA and WIILO, and a host of special guests, including you. See you on the 12th! 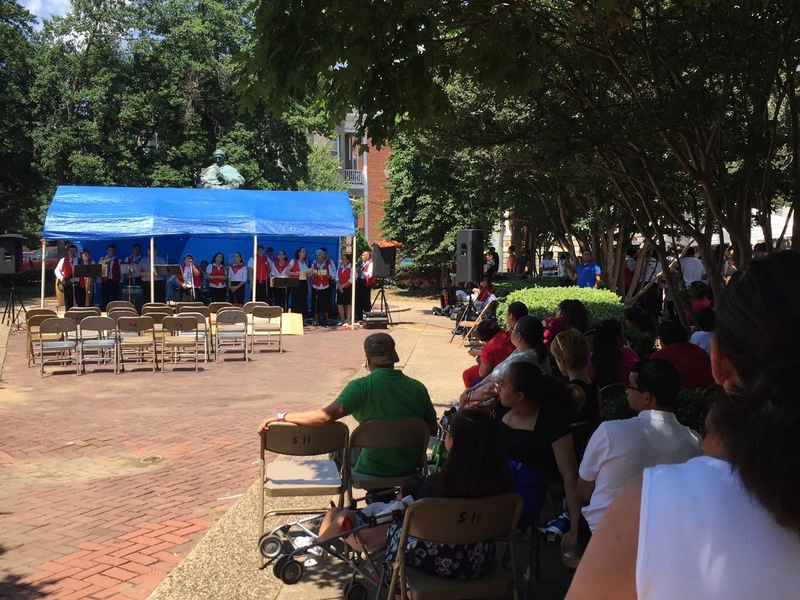 Columbia Heights Day is June 18! 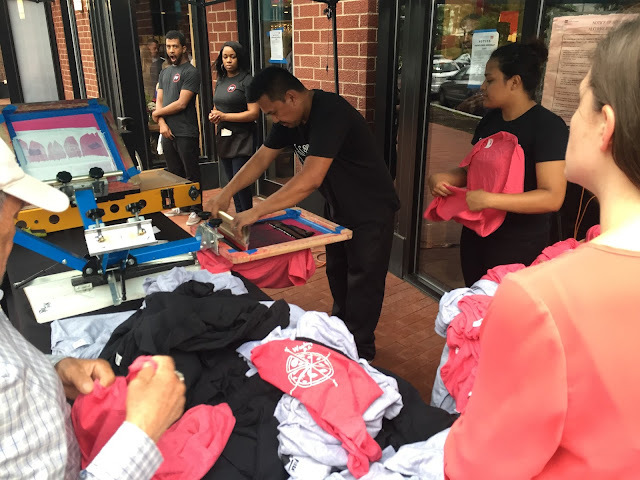 The 11th annual Columbia Heights Day is upon us, a little earlier this year but with the same great stuff as in the past. Going from Kenyon to Park on 11th Street NW, there's going to be a beer garden, local food vendors, live music and arts, lots of crafts and community groups, yoga and dance classes, a dunk tank, plus a carnival for kids at the Tubman School field. They're looking for more volunteers too, and are still taking applications for vendors or sponsors if you're interested in having a table or helping out! Kick off the summer with us this June at the 11th annual Columbia Heights Day! 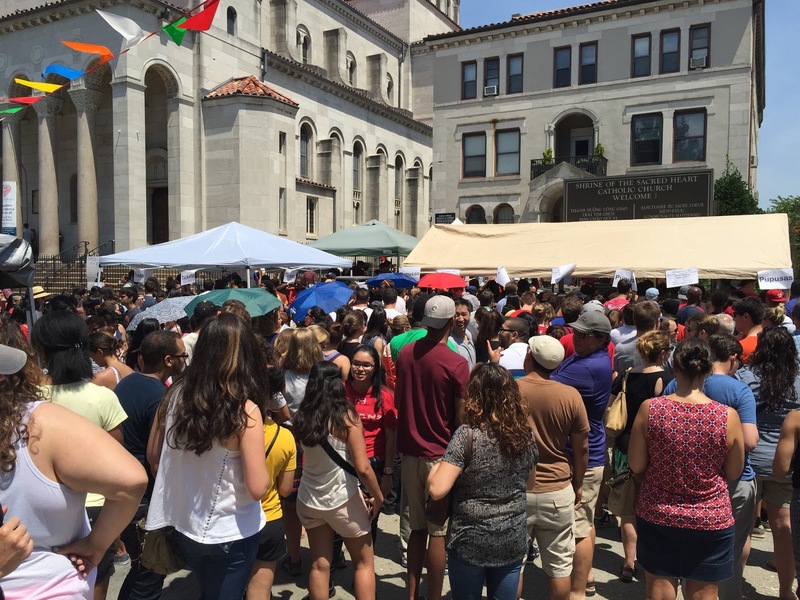 Our one-day street festival is a celebration of the diversity and community of Columbia Heights. This year’s festival will be bigger and better than ever! It will stretch along 11th Street blocks between Park Road and Kenyon Street and include the Harriet Tubman Elementary School Field. Enjoy local food vendors, live music and entertainment from our Main and Bloombars Stages, a beer garden, six group tents full of fun and unique vendors, as well as many unique stand-alone vendor tents scattered throughout the festival. This year on the Harriet Tubman Field we are having a carnival to rival any you’ve been to in the city! Bring your kiddos out for a fun free day of excitement and activities! There is something for everyone at this event. Come out and get to know some of your neighbors and explore all that Columbia Heights has to offer. Stay tuned for updates with more details to come! We’ll see you on Saturday, June 18th! 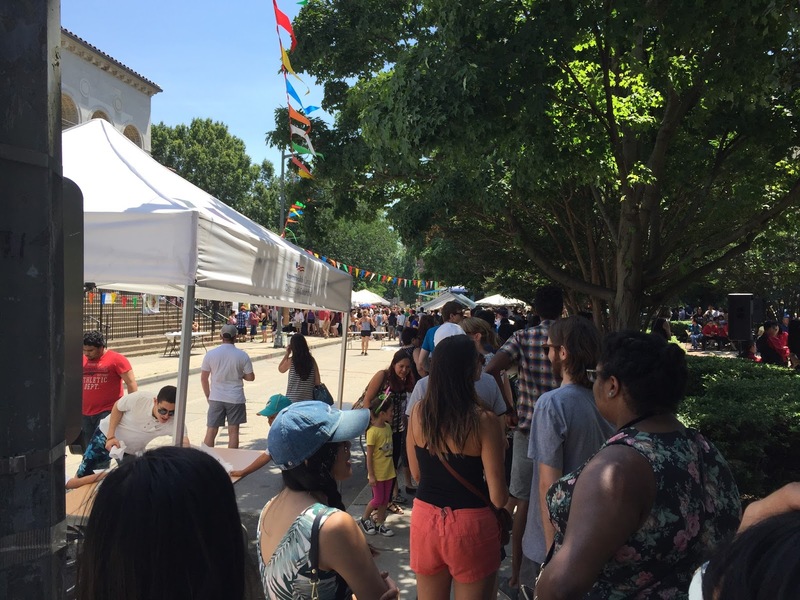 There are lots of ways you can get involved with Columbia Heights Day. Whether you want to be a volunteer, vendor, or sponsor we want to hear from you! Sounds awesome! I'll write more as we get more details. I love hearing about corner stores improving, and a reader just sent in a tip that the Park Market at 13th and Park has taken down their bulletproof glass and remodeled a little bit. I stopped by and it definitely looks nicer and more inviting, plus it seems like there's a bigger beer and wine selection now -- or maybe I just didn't notice before. Always love to see this kind of thing. The best examples to me are 13th Street Market, which got a great beer selection and renovation, and also serves coffee (plus the lady there is super nice) and Lion's Liquors up on Georgia, which looks fantastic. 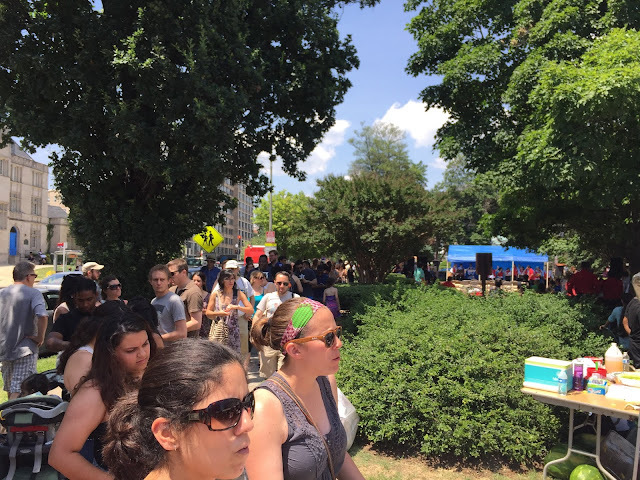 Last Sunday I stopped by Celebrate Petworth, that neighborhood's festival on Upshur Street, and it was a lot of fun. One thing I noticed was that Timber Pizza Co., the wood-fired pizza joint that's been a pop-up at the former Blind Dog Cafe and elsewhere around town, was almost finished 809 Upshur. Timber had an oven on a truck outside their building and I talked briefly with some staff there and they said they hoped to open in about three weeks. Good news for pizza fans! 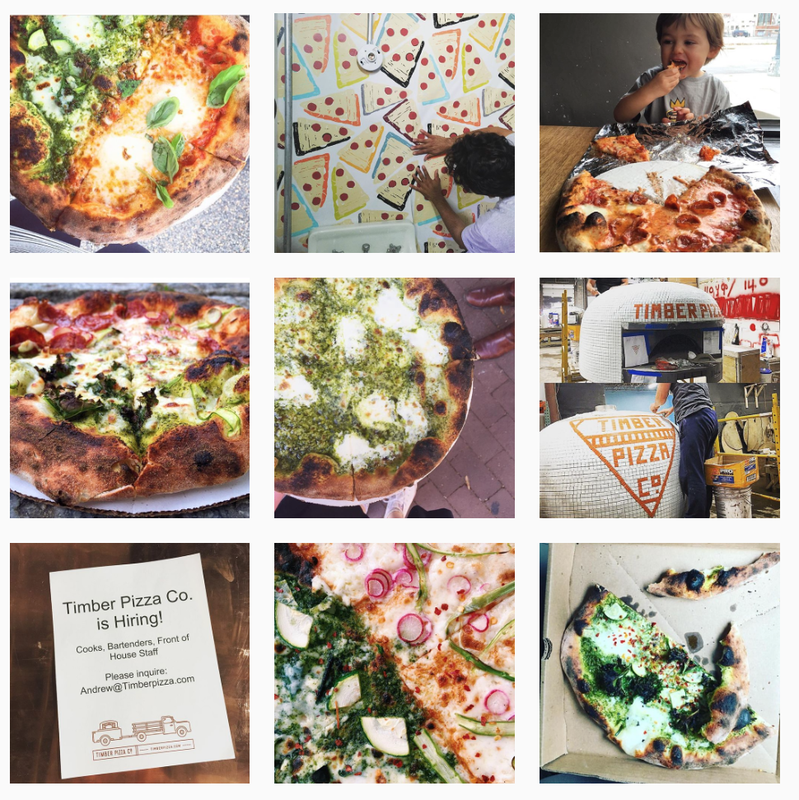 Judging from their Instagram, it looks like pretty fantastic pizza. They're a few doors down from Domku, which you may have heard is sadly closing after a massive rent hike. Here's Timber's Facebook page and website. Top photo from their Instagram, bottom by me.